Alexandra and Cooper were married at High Star Ranch in Kamas, Utah. Cooper grew up in Park City so they decided to have a somewhat destination wedding in Kamas just over the hill from his hometown. Since Alexandra and Cooper were living in Vietnam at the time, Cooper's mom Robbyn, who lived locally, helped with the planning. High Star Ranch was the perfect backdrop for their celebration. Alexandra and Cooper wanted a rustic, elegant feel to their wedding. Colors were kept to neutral and earth-toned pastels. The bridal party wore creams and grays. The flowers were natural creams and tiny rosemary plants and other herbs in cement pots were scattered around. A lovely spot on the ranch for photographs is along the roads surrounding the horse pastures. The views are amazing and the wood fence adds the perfect ranch character in the background. 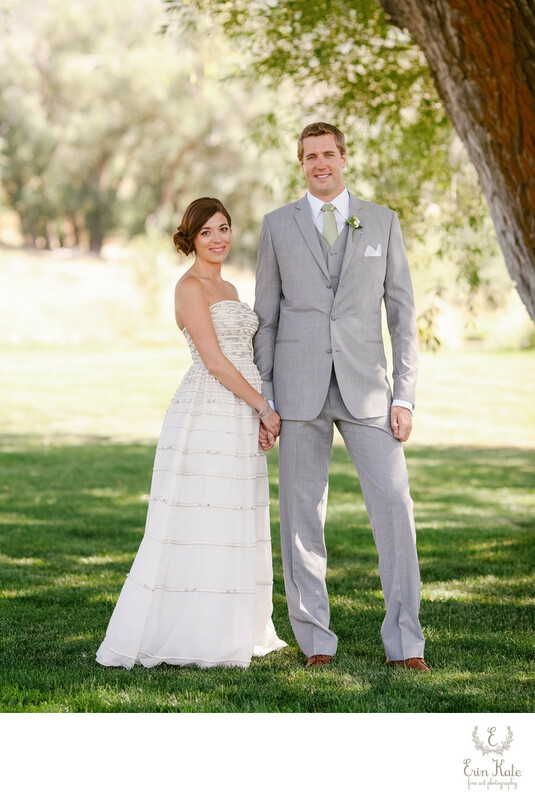 Alexandra and Cooper were married by a family friend under the property's100 year old tree. Ribbons draped from the branches and blew all around them in the breeze as they said their vows. The sprawling lawn hosted their cocktail hour. 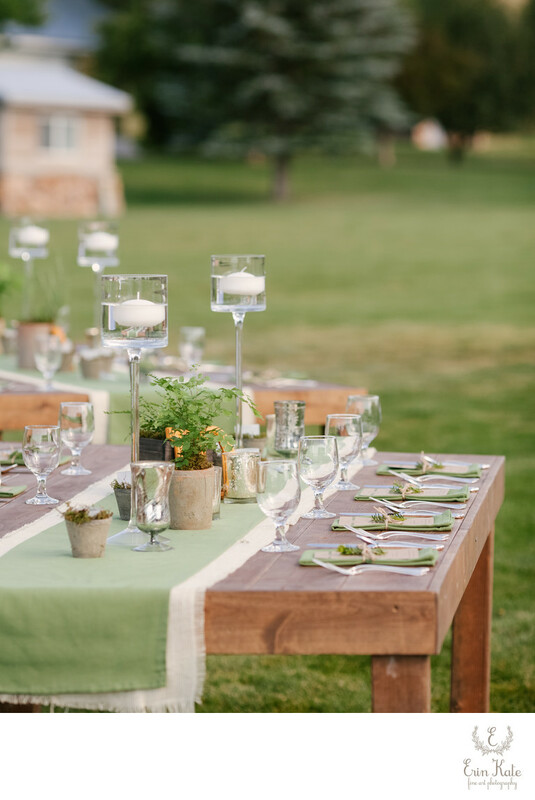 Farmhouse tables hosted the guests for a casual outdoor dinner. The old hay barn used for dancing framed the dinner tables and was adorned with the couples initials 'A & C'. Bistro lights were draped above the dining lawn and added beautiful light as the sun went down. The evening ended with guests dancing the night away my favorite old barn.